Started in 1939 by the proud son of small business-owning parents, Rick Segal, Mom and Pop Business Owners Day is celebrated every March 29. Mom and pop businesses make up 54% of all small businesses in the United States and are quintessential examples of the American Dream — hard-working men and women building companies of all kinds from the ground up. However, running a business is not always as dreamy as many business owners would like, especially when it comes to finding funding. 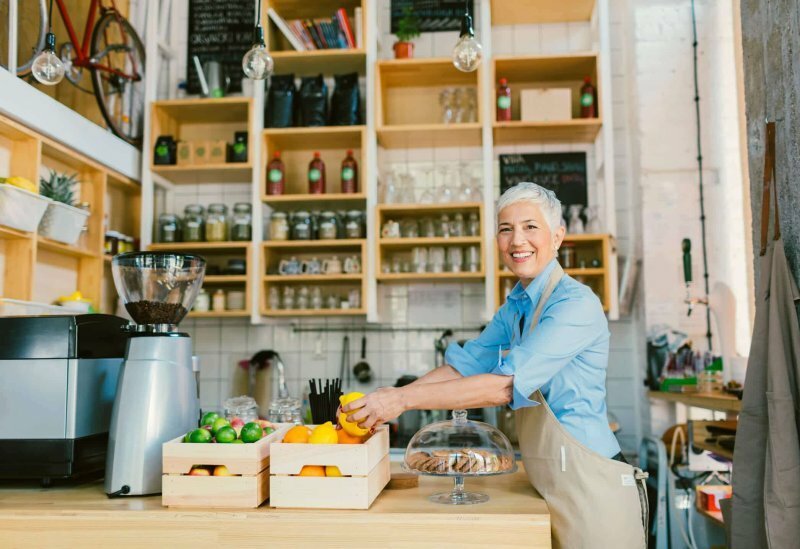 According to a recent Lendio study, on average, mom and pop businesses take on significantly smaller loans than other businesses, but they leverage a greater percentage of their monthly sales in order to take on that financing. “Unfortunately, the traditional lending ecosystem isn’t set up to support mom and pop shops,” says Brock Blake, CEO and founder of Lendio. Mom and pops have an average credit score that is 30 points lower than other businesses. Additionally, their time in business tends to be nearly two years less than non-mom and pops, and their monthly revenue is $35,000 less on average. These facts often sink a mom and pop shop’s chances of getting funding from traditional lenders. Access to small-dollar loans allows mom and pop businesses to keep their doors open and increase their economic impact. 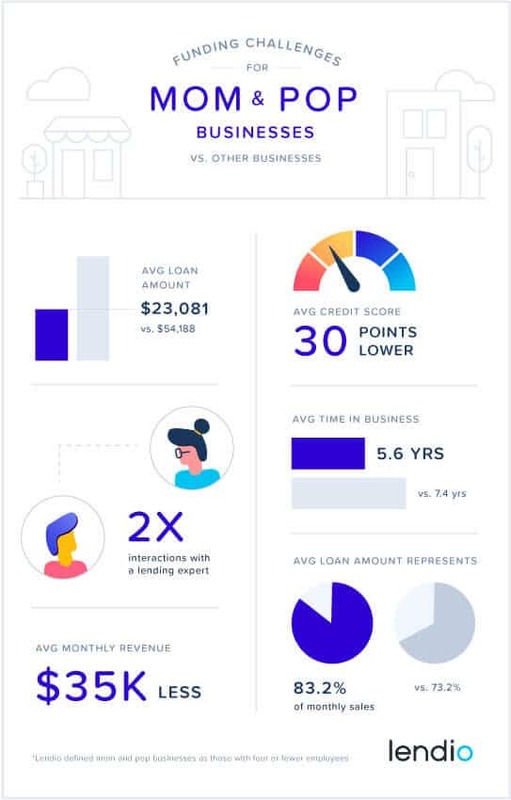 According to a national study on the economic benefits of online lending to small businesses, for every dollar lent to a small business, its sales increased an average of $2.31. Even more, that same borrowed dollar creates an average of $3.79 in gross economic output to local communities. The importance of independent businesses is undeniable. Local restaurants return more than twice as much money per sales dollar to the local economy than national chains. And in retail, independent stores return more than three times as much per dollar in sales than their big-box competitors. But their contributions extend far beyond the economic value they provide. Lendio’s mom and pop customers come from all over the U.S., representing industries ranging from restaurants and healthcare to manufacturing and education. Lendio is proud to support these independent businesses on Mom and Pop Business Owners Day and beyond. Mom and pops represent 53% of the customers funded through Lendio’s online marketplace, and their loans account for 34% of the total loan volume funded. Through more than $260 million in loans, Lendio has facilitated financing for more than 7,000 mom and pop businesses across the country.